Wood work is the single and most costly item in building constructions and much contribute to the beauty and appearance of the building. Timber generally used in construction is solid wood or ply wood products such as ply panel, block board particle board etc. Door and windows’ frames and shutters are generally made of solid timber. The wood is also used in structure in hilly areas. Timber should be of first grade and be from the heart of a sound tree, the sap wood being entirely removed. The timber should be free from decay, fungal growth, boxed heart, pitch pocket or streaks on the splits of exposed edges and cracks. The timber should be free from dead knots, warm holes and warps and be well seasoned. The timber which is used in building construction is classified below. 1. Teakwood: It is of outstanding merit in retention of safety and durability. The teak wood is one of the most naturally durable woods of the world. It is usually remained immune to white ant attack and insect attack for very long period. Taken as a whole teakwood is of very good quality and is a durable wood. It is relatively easy to saw and work upon. It can take polishing well and be finished to a fair surface. It is generally used for making furniture and all important timber constructions. 2. Deodar wood: It is the strongest of Indian conifers. Its weight and strength is 20% less than teak. It is easy to saw and work upon for a smooth finish. It is not however a suitable wood for polish. It is used for building house. 3. Sal wood: Sal wood is about 30 % heavier and 50% harder than teak. It is 20 to 30% stronger than teak. Its heart wood is naturally durable wood and has less effect of attack by white ant and fungi for a long period. It is a rough constructional wood as compared to a carpentry timber. It can be used for various purposes such as beams, rafters; tool handles picker arms and tent pegs etc. It is not very durable wood. It is easy to saw and work upon and is usually very popular in workshops. It can be brought to a fine smooth surface, but it is more suitable for paint as compared to the polish work. It is useful for small joinery works, light furniture and house fitments. 5. Hard Wood (Non Coniferous) Timber Other Than Teak: This wood is not so durable unless treated properly. It can be readily treated with wood preservative. It can be finished to fairly good surface but needs careful filling before it is polished. It is used for building house. It gives good results when it is used after kilns seasoning. 6. Ply Board: Ply boards are formed by gluing and pressing three or more layers. Ply wood should be of BWP grade or BWR grade as per IS 303. It is available in various thicknesses from 3mm to 25 mm. 7. Particle Board: Particle boards should be of medium density and are manufactured from particles of agro waste, wood or lingo- cellulose i.e. material blended with adhesive and formed into solid panels. The particle board should be flat pressed with single or three layers. In building construction door and window frames are required for fixing in the masonry wall. After making decision for the type of wood to be used in the construction work, the frames can be obtained in following two ways. 1. Verify the rates from the market before purchasing the timber/wood. The rates of wooden pieces vary according to length for example the same quantity of wooden piece having length 7 feet is cheaper than that of wooden piece having length 10 feet. 2. Try to purchase from reputed dealer after verification of rates. 3. 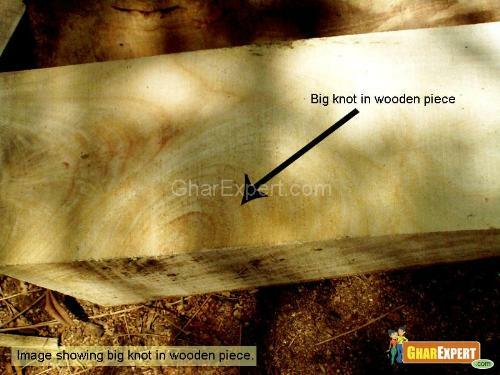 Purchase wooden pieces according to the length required. This saves in cost and unnecessary wastage. 4. 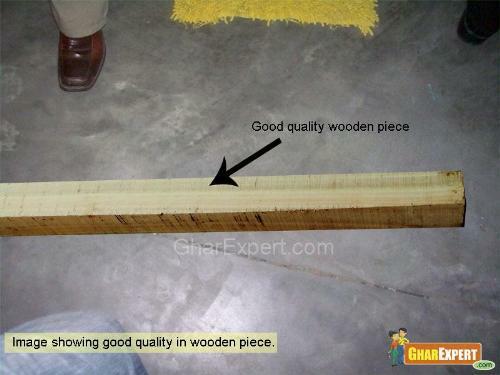 Try to purchase log of wood which has more width and thickness as thicker piece has good quality of wood. • Eighteen pieces of 3 feet long size 3 inches X 4 inches etc. This exercise will help you to minimize the wastage. 6. Purchase exact quantity required or 5% less and repurchase balance actual required pieces after consumption of first lot. If you purchase more than requirement, the carpenter makes more wastage by not making exercise to get required piece with minimum wastage. 7. Take care for the pieces left after making frames should be stored with care as they can be used any time for any item. 1. 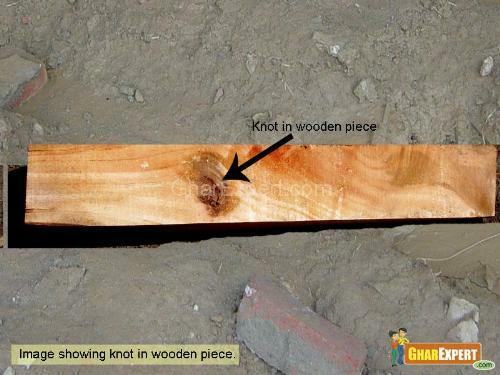 Check if wooden piece has any dead knots, cracks, decayed portion and fungi etc. 2. 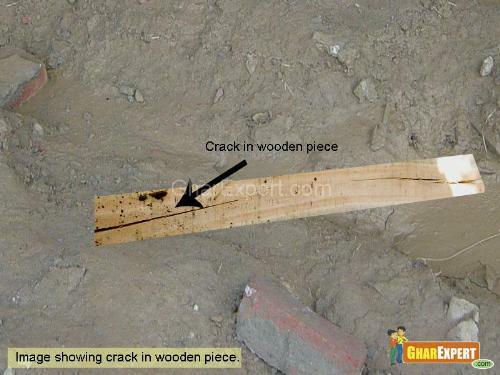 Beware of the shopkeeper who generally color wooden pieces and fill up putty between cracks and in decayed portions to hide the defects. He sprinkles water on wooden pieces daily so that the cracks are not widening in summer season or due to evaporation of moisture. 3. Identify any suspected spot by rubbing with any hard piece or key of your vehicle. If the portion is filled in with putty, it will come out from wooden piece. 4. 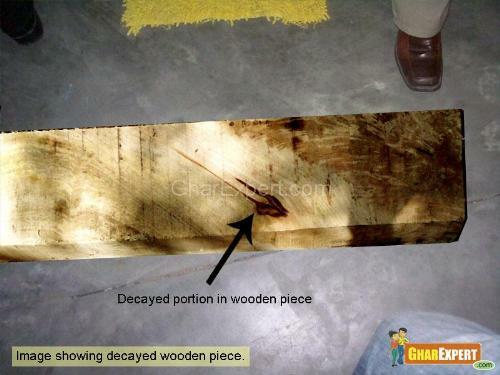 See the corner of wooden piece is at right angle while selecting the pieces. If it is not at right angle, the size of the piece remains less than that of required at the time of the finishing. 5. Check warping of wooden piece. Do not purchase wooden piece which has warping. Make measurement cautiously as width and depth of piece have more effect in quantity than length. At the time of loading you should be more cautious as trained labor of the shopkeeper change selected piece of wood by defected piece. Additional Precautions While Purchasing Manufactured Door And Window Frames. 1. Check the size of door and window frames’ design according to your requirement. 2. Confirm the width and breadth of the member cautiously as some dealers charge for more size because they say that the size becomes less due to sawing and planning of wooden piece. 3. 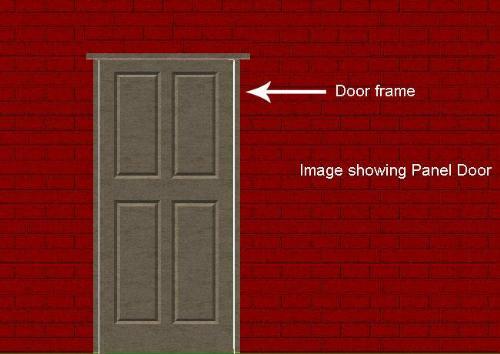 Ensure the right angle of the frame and also the width of door and windows at top and bottom. 4. 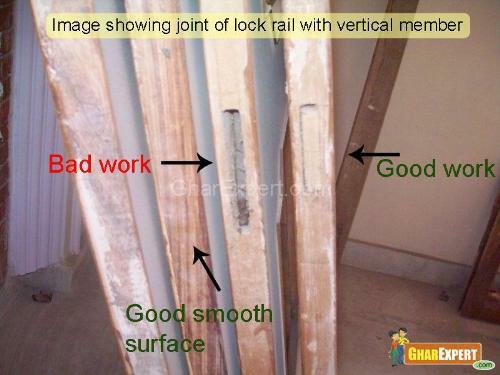 Verify the joints of the frames, generally manufacturers use less length of member at top and bottom and the joint remains half filled and becomes weak. 5. Notice that the joints are fitted with bamboo pin not by nails. 6. See that bottom spot is fixed at the bottom of the door frame. 7. Check the finishing which has not any warm holes dead knots etc before making the payment. 1. Check the quality of the wood as stated above. 2. Do not keep the thickness of the door and window shutters frames less than 30 mm. If the thickness is less than 1 mm, you will have to pay 3% more to the shopkeeper. 3. Make sure that the thickness of ply panel is not less than 12 mm. 4. Check that the door shutter frame is 8” wide at bottom, 6” wide at middle and 4” wide at side and top. 5. Verify the width of the shutters is 3”. 6. Check the ply is of BWR grade with IS No.303 in case ply panel. 7. Ensure the flush door shutters are according IS No 2202 part-I.